The second Millionaire Chess Open (MCO) in 2015 promises to be even bigger and better than the 2014 edition. 2014 was a very exciting chess year for me. Not so much because of the World Championship match between Magnus Carlsen and Vishwanathan Anand but because of Millionaire Chess. The Millionaire Chess open was launched in Las Vegas and won by Wesley So. 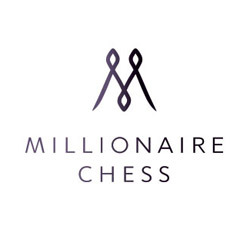 Now in 2015 it’s only January but already some big names are being confirmed for Millionaire Chess. Super Grand master Hikaru Nakamura has signed up for the tournament. I know that Nakamura was not so keen on taking part in 2014 but it’s a new year and there new developments. 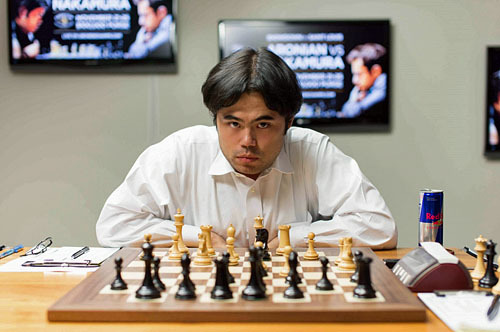 Nakamura is one of the most exciting chess players. He does not like to settle for early draws and is always known to fight it out in his games. Not only does he excel in classical chess but he is also one of the very best in Blitz and Rapid Chess. There will be a lot at stake in this tournament for Nakamura. I am sure that he will be keen to re-establish himself as the USA’s top player. It is going to be a long wait to Thursday, 8 October when the tournament begins. There is little doubt in my mind that more big names are going to sign up for MCO. MCO has tweaked its rating rules for the second edition of the tournament. You can view these rules here. I think many players wanted to see how the first tournament would go and were sitting on the fence. Quite likely a number of them might have regretted their decision when the prizes at the tournament given out. Super Grand master Wang Hao from China has also joined the fray quite early in the year. At the time of writing this article there were at least 3 Grand masters with Elo ratings above 2700 who had confirmed participation in MCO. I think I have an idea who else might join the party among the grand masters but why spoil the fun of trying to guess. Let’s wait and see for what promises to be a blockbuster second MCO. MCO champion Wesley will be on hand to defend his title. 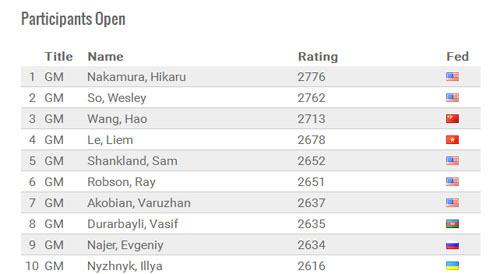 Wesley So took a massive $100,000 as winner last year. He is playing very well at the moment and if that continues through to end of the year he could be favourite to retain his tile. At the recently held Tata Steel Super GM tournament, Wesley So showed his achievement at MCO was not a fluke. He had arrived on the stage and was there to stay. At Tata Steel he was equal second and lost only one game. That was the first classical game Wesley had lost in 50 games. Such has been his rich vein of form over the past several months. Its been said that he is one of the most difficult players to beat. The Qatar Masters Open Tournament last year showed that Super GMs like Vladimir Kramnik and Anesh Giri will take part in the open tournaments especially the prestigious ones. They might be taking a bigger risk with their precious Elo rating points the benefit far outweighs the cost. There is lucrative prize money on offer and a chance to experience the adventure of a lifetime. Can it get any better than chess at Las Vegas? We can’t wait for MCO #2.